So before I get to the dressing, the salad typically involves greens of your choice, cherry tomatoes, sliced cucumbers, blue cheese, and green onions. You can certainly make your preferred salad but I especially like how the flavors of the dressing really tie in these ingredients. It's a dressing recipe that's easy to make and I often make a large batch and store in a couple jars in the fridge. If you're looking for a tasty way to eat more greens, just pour this dressing over the top and before you know it, you'll devour a bowl of salad in no time! Place all the ingredients in a large bowl and whisk. Transfer to a jar with a screw top, cover and store in the fridge. Shake well before using. I am with you. I've been craving salad and light easy food lately. This delicious dressing would be perfect on a salad. It seemed like the winter would never end and now we are here with summer approaching! This dressing looks amazing! I have everything I need to make that! My dad will love it! There's nothing like fresh dressing. Once you have it, it's hard to go back. This looks delish! 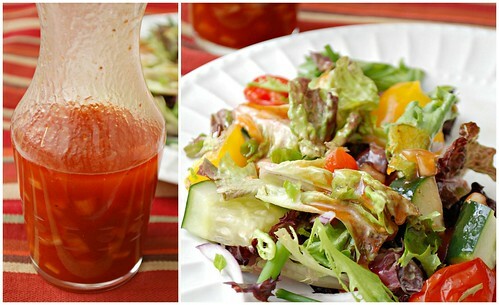 my hubby loves French dressing but I have yet o make a homemade version for me, this looks great! I can't believe I've never made French dressing! It was my favorite one as a kid, and I can't wait to try making my own, thanks! It's already in the 80's where I am. So bring on the salads and homemade dressing! 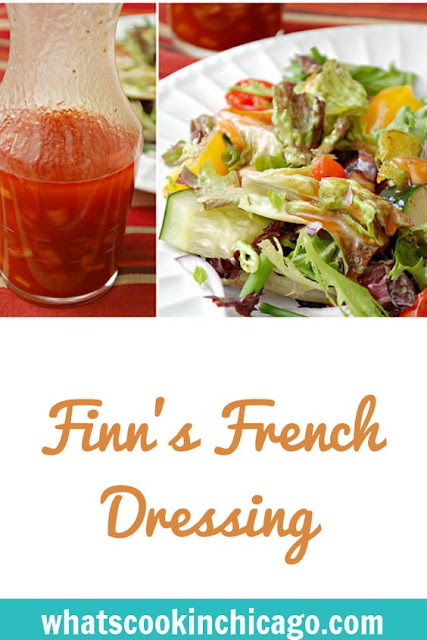 French is my favorite kind of dressing and I cannot wait to make this! Oh no! I wish I saw this earlier! lol I just bought French dressing today. At least now I know where to look when I run out because I would love to make my own. French dressing is my favorite. Bookmarked! I love homemade dressing - can't wait to give this a try! I love homemade French dressing. It's a million times better than the stuff in the bottle! Ohhhh, so it's paprika that makes it that gorgeous red color. I always wondered. That being said, I love a good home made French dressing and your version looks like it rocks.